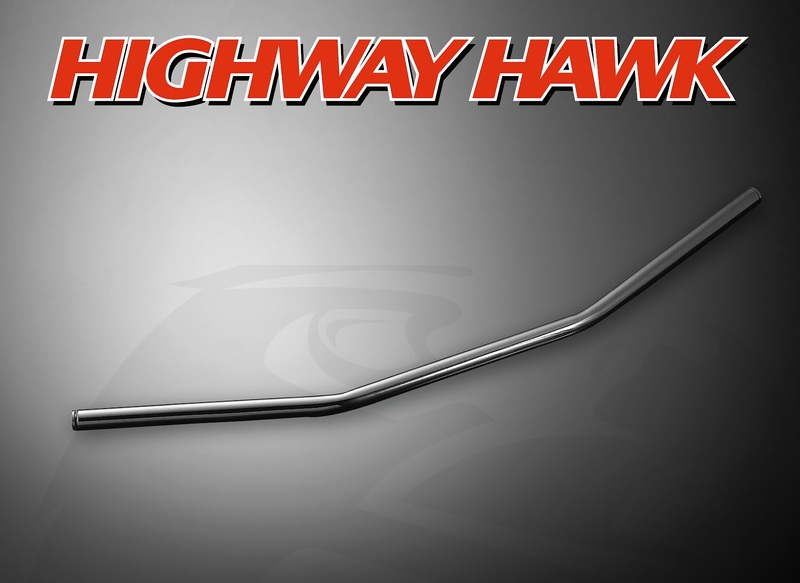 Since 1971, when Highway Hawk was introduced in Europe, we focused mainly on accessories for Harley-Davidson models from the 40’s, 50’s, 60’s and up. After years of being known as metric specialist there are plenty of Highway Hawk accessories for Harley-Davidson again. What about this “Large” Drag Bar in black? Proof that a nice handle bar is not expensive, only € 33,95 for a TÜV certified handle bar. Article number 55-208B. Specifications: Depth - 10cm, Width - 80cm, Center - 25cm, with dimples. Fits other types of motorcycles as well. Reeds in 1971 verscheen Highway Hawk op de markt met een accessoirelijn voor Harley-Davidson motorfietsen uit de 40er , 50er en 60er jaren. Na jaren zich geprofileerd te hebben als metrisch specialist kun je nu weer volop Highway Hawk accessoires voor Harley-Davidson vinden. Wat dacht je van deze “Large” Drag Bar in zwart? Het bewijs dat een mooi stuur niet duur hoeft te zijn, slechts € 33,95 voor een TÜV gecertificeerd stuur. Artikelnummer 55-208B. Specificaties: Diep - 10cm, Breed - 80cm, Center - 25cm, met dimpels. Past ook op andere typen motorfietsen.